. 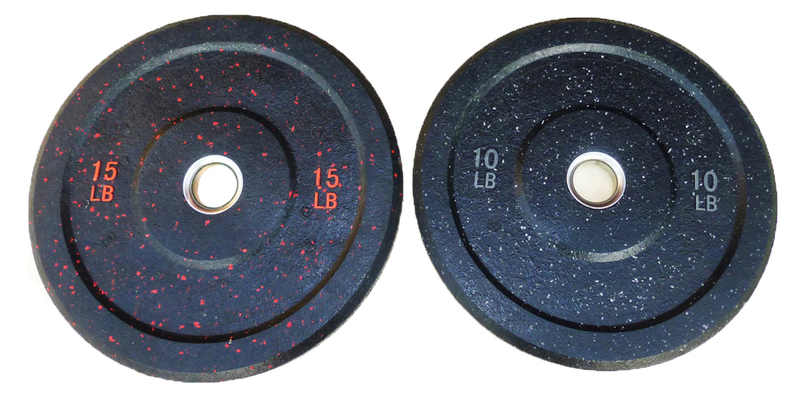 Crumb rubber bumper plates are produced from recycled crumb rubber heated to a high temperature and vulcanized to produce an extremely durable bumper plate that demonstrates a high tensile strength and tear resistance.
. Solid steel core with industrial hard chromed center.